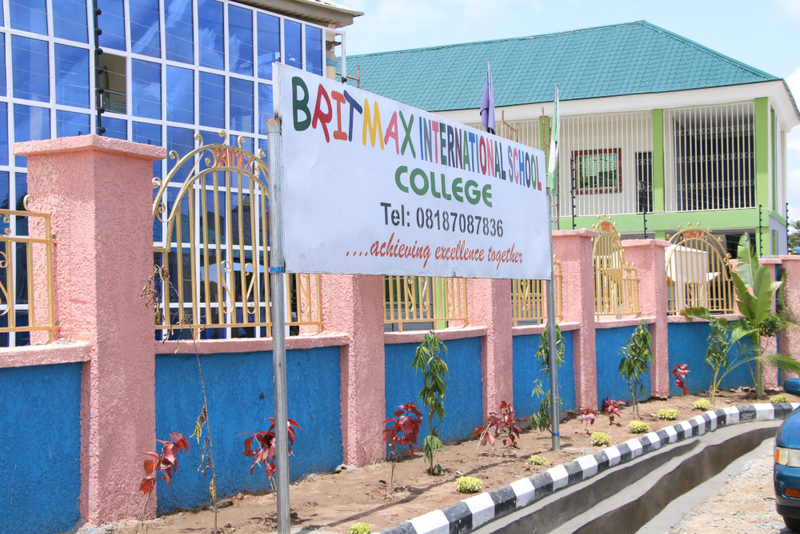 Rebecca Okoko Onoja, mother of 6 months old baby, Michelle Onoja has accused Britmax International School Lokongoma, Abuja of killing her child who was left in their care. The family of the deceased child in a statement made available to our source revealed that baby Michelle died in the school after her mother dropped her at the premises on 11th January, 2019. According to the statement, the family alleged that the school has sabotaged every effort it made to get justice for their daughter. ”Michelle Onoja was a 6months old baby and the second child of Mr and Mrs Onoja before her gruesome murder on the 11th January 2019 by staffs of Britmax international School Lokogoma Abuja. She was registered in the daycare facility of britmax international school which is located at Jubilation bethel estate,lokogoma Abuja a stone throw from their residence within the same estate. ”In the morning on the 11th January 2019, at about 8am, baby Michelle Enenu onoja was dropped at the daycare facility (creche) in britmax international school and left for her place of work. At the time of dropping her, there was nothing wrong with her as she was hale and hearty. At about 2:18pm, the mother called the nanny taking over from the first caregiver of the kids at school to know their welfare so she can go and pick them, she didn’t pick the call. The mother then received a call at 2:19 pm from the school secretary’s number which is a woman but was called and heard the voice of a man telling her to come to the school. She immediately got to the school which is less than a minute drive from her house, 3 houses away from her house in the estate. When she got there, she saw about 5 women and 2 praying over Michelle in the bed and asked what the matter was but nobody was giving her any response. ”When Mummy Michelle carried her, she noticed blood stains on her nose and food particles around her hair and nostrils. She became seriously agitated and wondered what could have resulted to the blood stains on her daughters body but She tried sucking out whatever was the blockage but realized that the best thing was to rush her to the hospital. At the point of entering the car, one of the persons around whom she later understood was the school accountant made a remark that is it not hospital they just returned from, she was shocked and asked him “what did you say “ and he refused to speak further, on hearing this it dawned on the mother that the school had earlier taken her daughter to the hospital without her knowledge or information.yet none of the other people around could tell her anything, she even asked the nanny what happened, she didn’t say a word and was told not to say anything to the mother. When asked about the teacher, they replied that had already left the school to the police station, even before the mother knew her child was dead. ”On getting to Federal Medical Centre Jabi Abuja, Baby Michelle was immediately received at the emergency unit and the doctors attended to her immediately but to no avail. He remarked that the baby would have been saved if brought in earlier. ”Following the circumstances surrounding her death, she lodged a complaint at the divisional police station Apo, and the IPO Mr Arome was detailed to investigate the matter. Based on the blood stains the mom advised the police to demand for a preview of the CCTV to enable the police unravel the circumstances surrounding the mysterious of her daughter. To our greatest surprise, when Mr Arome demanded for the CCTV on 12th January 2019 he was told that the camera has been wiped out. This information further increased the parents suspicion that their daughter may have been killed by the school without justification. The parents sought to know if the school had any medical personnel in its employment only to be told there is none.not even first aid kits was available at the time this incidence occurred. ”Since the IPO could not access the CCTV the parents decided an autopsy be conducted on Michelle to unravel the true cause of her death of Which the IPO and parents proceeded to FMC Jabi and paid 250,000 for autopsy test. Before the test result came out on the 23rd of January 2019, the parents were informed that some officials of the school had made some attempts to compromise the result of the autopsy but it was resisted by the hospital. ”Consequently, when the result came out,it was discovered that both blood and feeds were oozing out of the mouth and nose of Michelle. The result also indicated that baby Michelle died as a result of asphyxiation. ”Alarmed by this result, the parents demanded a full scale investigation from the police with a view to bringing any culprit who is connected to the gruesome murder of baby Michelle to justice. Rather than commence full and proper investigation into the matter, Mr Arome suddenly lost interest in the matter and has since then been pleading that we forgive and forget about this matter. ”When the parents insisted on pursuing the matter to a logical conclusion, Mr Arome started feigning been busy and not giving attention to the matter. However, when our tried to reach the Proprietress, she refused to give details on the incident. Akiolu Installed As Chancellor Of Usman Dan Fodio University. Anxiety Over Diezani’s Health – Family Insist She Is Still Alive.